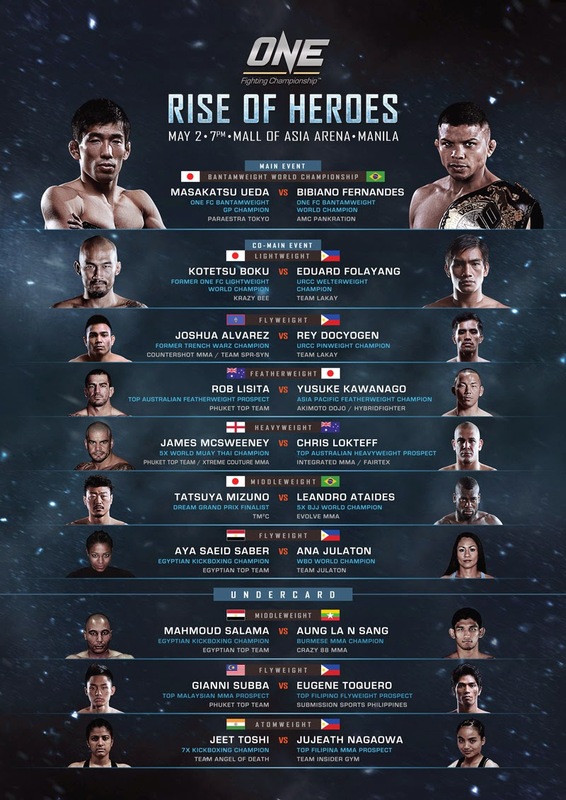 Mixed martial arts (MMA) fans will enjoy an all-night explosive action as ONE Fighting Championship (ONE FC) rolls out 10 explosive matches featuring the world’s best fighters and local heroes on May 2, 2014 at the Mall of Asia (MOA) Arena in Pasay City, Philippines starting at 7pm. “Expect explosive knockouts and exciting finishes in what is probably the most exciting fight card ever that will keep fans from around the world on the edge of their seats," said Victor Cui, ONE FC chief executive. Cui said the 10 bouts will feature some of the biggest stars in the Philippines and around the world, including Bibiano Fernandes (Brazil), Masakatsu Ueda (Japan), Eduard Folayang (Philippines), Kotetsu Boku (Japan), and Ana Julaton (USA). The main event will pit Bibiano Fernandes, the reigning ONE FC bantamweight champion, against Masakatsu Ueda, a former Shooto featherweight kingpin and perhaps the best fighter the former will be facing since he started competing in Asia. 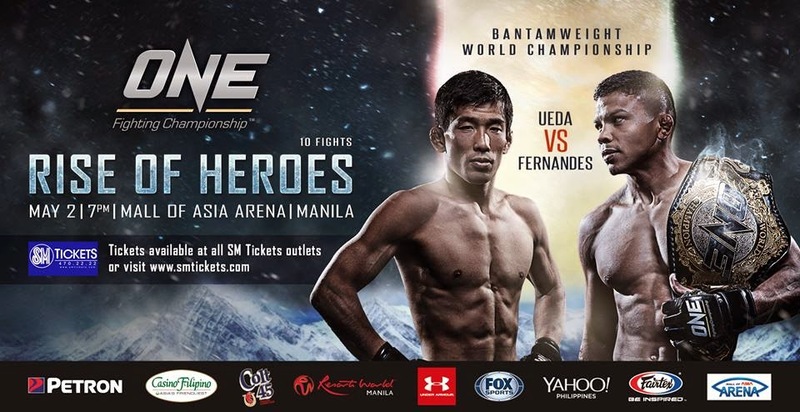 Fernandes (15-3), who has held two titles in Dream and one in ONE FC, is 3-0 under the ONE FC banner and has three first-round finishes during his current seven-fight win streak and is undefeated in three years. Ueda (18-2-2), on the other hand, is 3-0 in his return to Asia after winning ONE FC’s bantamweight tournament. The co-main event will be another explosive matchup, with Folayang facing a tough Japanese in Boku, a former ONE FC lightweight champion. Folayang won in December 2013 against Dutch-Indonesian Vincent Latoel while Boku scored a first-round knockout win over Arnaud Lepont only last March. 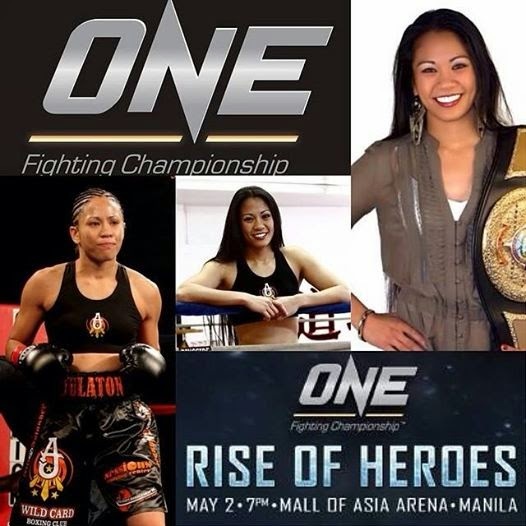 One of those anticipated fights is the match between Fil-Am female world boxing champion Ana Julaton and Egyptian kickboxing champion Saber. The California-based Julaton, who has twice held the WBA and IBO 122-pound belts, has just made the switch to MMA and will be fighting for the first time before a hometown crowd. Saber, on the other hand, is an Egyptina kickboxing champion and is the first female MMA fighter from Egypt to fight in ONE FC. “I can't wait to get into the cage and beat Ana and make my fight team and family proud. Unlike Ana, I am not new to MMA,” she said. Another high-action bout is the rematch between Rob Lisita, who is the best featherweight to emerge from Australia, and Japanese Yusuke Kawanago, the former Legend FC bantamweight champion who has beaten some of the best featherweights in Asia. He beat Lisita via a unanimous decision in 2012, a decision which the Australian initially contested. The rematch will finally settle the issue. The other fights sure to grab the fans’ interest involve Team Lakay fighter Rey Docyogen, a former pinweight champion of the URCC, against Guam-based Joshua Alvarez, and Filipino muay thai champion Eugene Toquero and undefeated Malaysian-American Gianni Subba. Rounding out the card are Japanese Tatsuya Mizuno and Brazilian Leandro Ataidas in the middleweight division; English James McSweeney and Australian Chris Lokteff in the heavyweight division, and Burmese Aung La Sang and Egyptian Mahmoud Salama in the middleweight division. 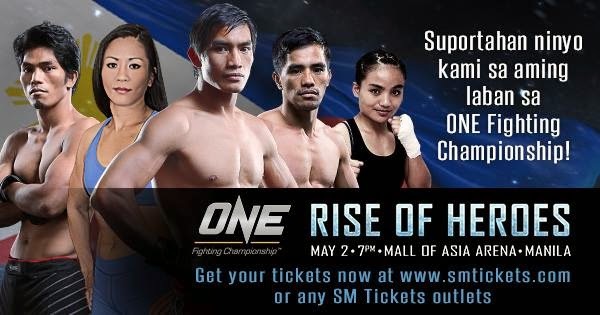 Also worth watching is the battle between MMA newcomer Jujeath Nagaowa, the first Filipina fighting under ONE FC, and Indian seven-time kickboxing champion Jeet Toshi, who is also considered India’s pioneer MMA female fighter. 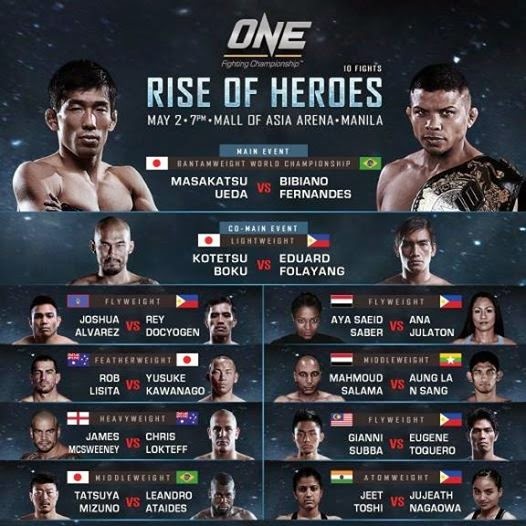 Tickets for ONE FC: RISE OF HEROES are on sale now at SM Tickets. Ticket categories begin with the full Red Carpet and cageside experience for VIPs at PHP 6,360, followed by Patron PHP 3,180, Lower Box PHP 1,280, Upper Box PHP 640 and General Admission PHP 220. Prices include ticketing fee.